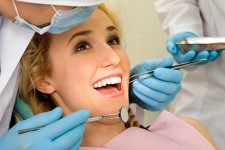 Dentists aren’t just there for the unpleasant stuff – the toothaches and filling repairs. They are also highly skilled in cosmetic procedures, designed to enhance the way you look and boost your self-esteem. If you are among the many people who are nervous to show a less-than-perfect smile, read on. In the past, cosmetic dentistry has been seen as the preserve of Hollywood stars, flashing their perfect, white teeth on the red carpet. Now, however, technological advances have made a stunning smile more affordable and attainable than ever before. Not only can you have your teeth whitened, but also realigned and repaired to show them off at their very best. Cosmetic Dentistry can brighten dull teeth and get rid of stains caused by substances like coffee, wine or tobacco; choose from whitening gel kits, laser whitening or even veneers. You can have unsightly gaps closed with braces or veneers and even repair chipped teeth with orthodontics or veneers. Old amalgam fillings can be replaced with modern white ones and crooked teeth can be straightened with cosmetic contouring. 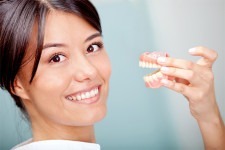 Missing teeth can be replaced with dental implants or a fixed bridge. Uneven or receded gums can be made to look much nicer with gum grafts. 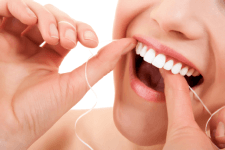 All of these procedures have been proven to increase confidence and make caring for teeth with toothbrushes and dental floss much easier, thus helping improve oral health too. 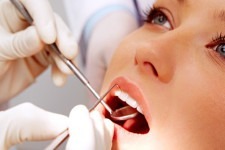 The first step towards improving your smile is arranging an appointment with to a cosmetic dentist. The initial consultation is often free and gives you an opportunity to discuss your needs, and the cosmetic options open to you. 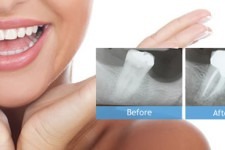 Dentists can show you ‘before’ and ‘after’ pictures of patients who have undergone similar treatment, or you can bring in your own photos to show the effect you want to achieve. Cosmetic dentistry procedures are not usually covered on the NHS unless there is a compelling medical reason for them to take place. However, new technology has lowered prices (and recovery times) dramatically, and many dentists are happy to discuss a monthly payment financing programme to allow you to begin treatment straight away. 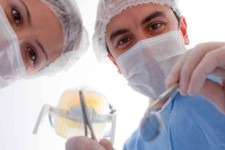 Do your research carefully – never believe the ‘miracle’ claims of a procedure without asking your dentist about them first, and reading up on the subject until you are sure of their veracity. A cheap option may seem attractive at first, but it could lead to ongoing financial and health problems if the procedure is not carried out properly the first time. Don’t put your oral health at risk in search of a seemingly ‘too good to be true’ price. Finds a dentist you can trust and follow their advice.